This functional fashion item is raising funds on Kickstarter. Launching on Kickstarter today, the Pizza Pocket Hoodie is billed as “the world’s first hoodie that can cleanly hold a slice of pizza.” In this day and age, calling something a “world’s first” always feels a bit dubious, but a brief search around the web seems to prove that, at the very least, another pizza-holding hoodie is hard to find. In the past, we’ve seen the practical but far less stylish Pizza Pouch (a triangle-shaped plastic sack on a lanyard), a Pizza Parka made from the same material as Pizza Hut's delivery bags, or the silly idea of shirts with a triangle-shaped pocket that could theoretically hold a pizza slice if you don’t mind instantly ruining your outfit. But the Pizza Pocket Hoodie is where fashion meets function. “The hoodie includes an insulated, food grade, washable pouch that can hold a slice of pizza and keep it warm for hours,” a press release states. 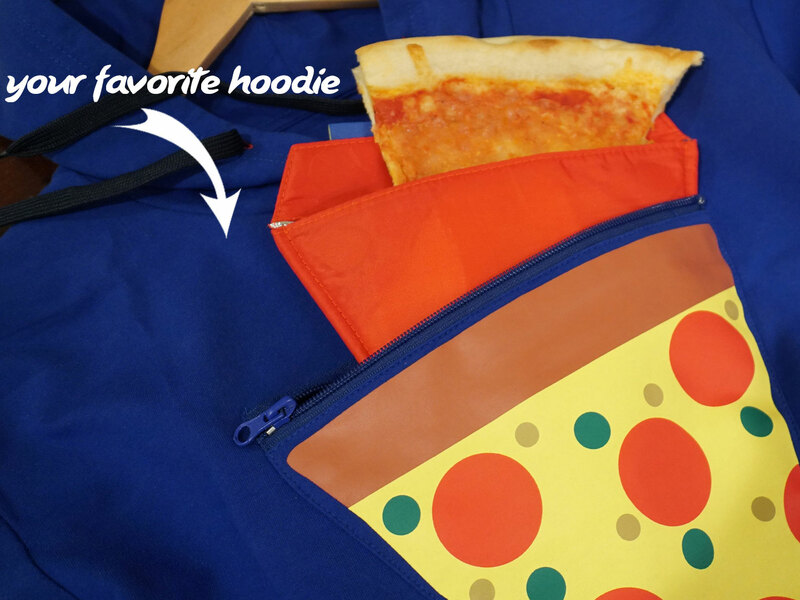 “Behind the screen-printed pizza image on the chest of the sweatshirt is a zipper pocket that is designed to fit the removable insulated pouch snuggly.” Plus, the pizza pocket is in addition to the hoodie’s regular hand-warmer pocket, so you end up with double the pocket space — and can keep your slice and your hands warm at the same time. 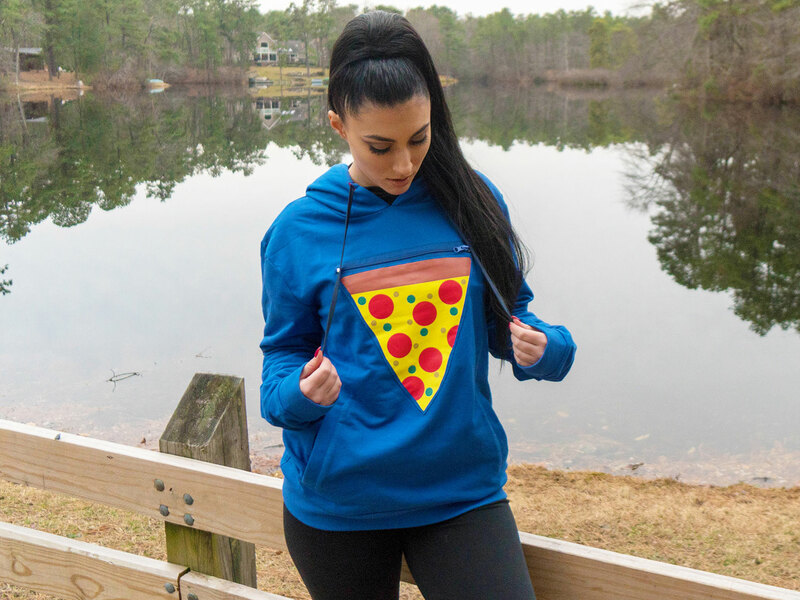 “If you’ve ever wanted to take a slice of pizza with you when you’re on the go, this is the sweatshirt for you,” explains Mike H., founder of ScrapTownUSA which designed the product. “If you have never had this thought, then you’re in the wrong place,” he then quipped. The first 25 people to make a pledge on Kickstarter are promised a Pizza Pocket Hoodie for just $49. After that, securing your hoodie will take a pledge of $55. It’s important to remember that with any crowdfunding project, you always face the risk that the concept might not come to fruition, but this campaign states that “the manufacturer has been sourced and everything is ready to start the first order.” As a result, hopefully things run smoothly and the hoodies are delivered as promised by June as anticipated.